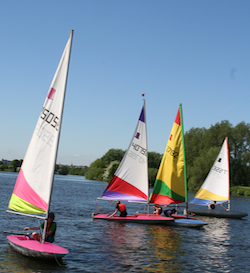 The aim of Junior Sailing is for youngsters to learn basic sailing skills, gain experience and have fun. Those who are beginners and just learning to sail will be assisted to sail in Toppers on their own, or to learn the basics in a Club RS Feva or GP14 in the company of a knowledgeable sailor. The more experienced can gain a greater understanding of racing, and will be encouraged to compete in the three Junior competitions – the Saturday Plaque, the Cadet Shield and the Jane Shore Trophy. Please remember that organisers are principally dependent on the strength of the wind and the number of adult helpers who are available – the stronger the wind, the more help that is required! All children taking part need an adult in attendance. Sessions will start at 12:30pm. For those wishing to race in the Saturday Plaque the session starts at 11:45am. 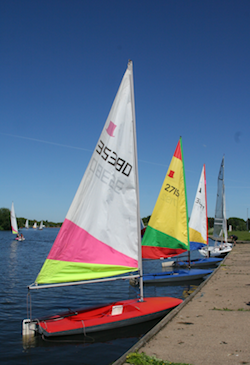 If you have any questions please do not hesitate to get in contact using the Junior training juniors@nottinghamsailing.club email account. Entrants must be under 18 on 1st January of the Calendar year of the event. The Club Toppers will be available for use in these Races. Entrants must be under 14 on 1st January of the Calendar year of the event.